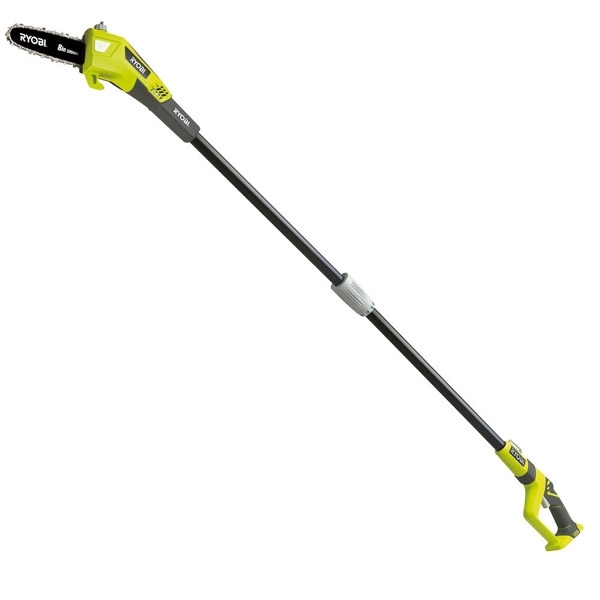 This tool is a great addition to the Ryobi One+ garden family,ideal for those hard to reach jobs. Ryobi OPP1820 18 Volt One Plus Pole Saw has a tool-less chain tensioner that adjusts chain tension quickly and easily for optimum performance. The head has a 30° angled cutting head for safer and easier cutting of even the hardest to reach branches in trees, bushes and even vines.